Summer is still debating wether of not to show up for real in Vancouver. Grrrrr! (or in this case, brrrrr!). 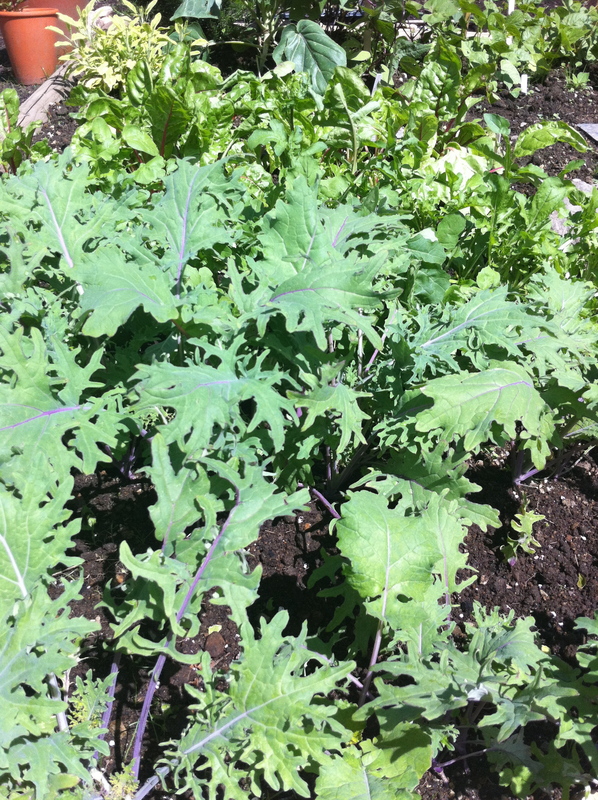 The good thing is the garden is still growing. The fact that I’m gardening in a sweater most days is a rant for another day. As I’ve been huddled in the house under blankets I came across this great blog post on 101 Cookbooks about macaroni salad. Mmmmmm. Now that feels like summer. Memories of picnics as a kid came flooding back to me. My mom made a great macaroni salad. White noodles, onions, mayo, salt and pepper and if memory serves chopped red pepper. That was it. I ate gallons of it. As a broke theatre student I remember taking that recipe (minus the red pepper – they were too expensive) adding some chopped dill pickles and calling it a meal. Years ago I found a great recipe in Cooking Light magazine for a warm pasta . It quickly became a fast weeknight standby in my repetoire. I soon realized that it, and variations of it, made a tasty lunch leftover. So wether you like your noodles warm or cold, here’s a great noodle salad (completely!) based on that original recipe. Optional: chopped sundried tomato, fresh pesto, ricotta rather than feta. Bring pot of well salted water to a boil. Add noodles. While noodles are cooking rinse chick peas and leave in strainer. In large mixing bowl place greens and chopped garlic. When noodles are cooked drain over the chick peas (this will warm them through a bit). Add both to bowl. Mix. Add lemon juice, olive oil feta cheese and nuts or seeds. Salt and pepper to taste. This entry was posted in Noodles!, Recipe, Salad, Vegetarian by mostlynoodles. Bookmark the permalink. Yum! 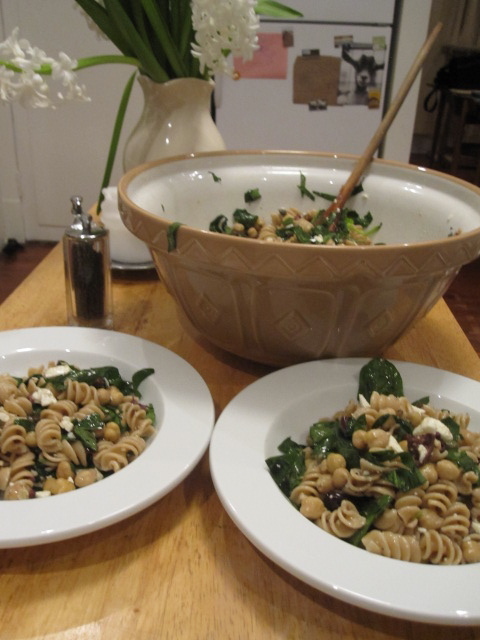 Pasta, chick peas and greens. Can’t get much better than that.